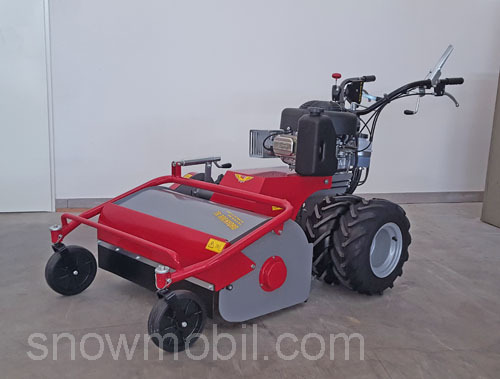 3.450,00 EUR 19 % VAT incl. 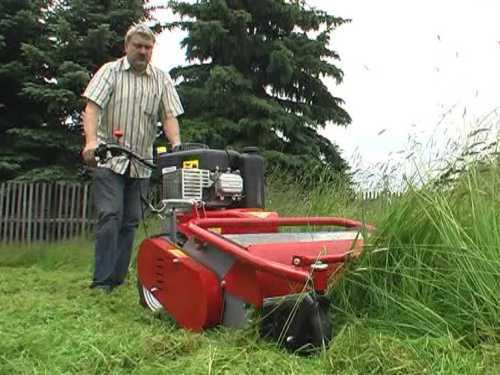 Sorry, this pictures are from the TR600 with 3-speed gearwheel transmission. 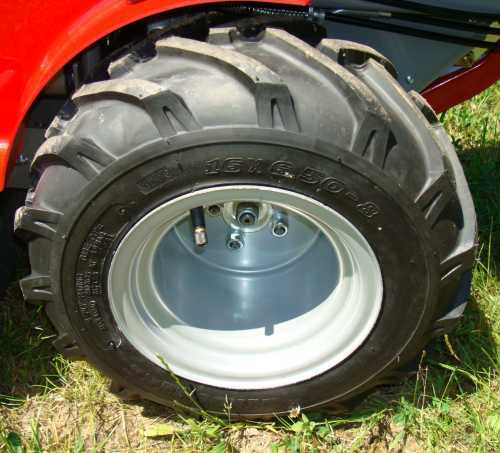 A set of dual tires with spacer is available with a surcharge of 299.00 EUR! 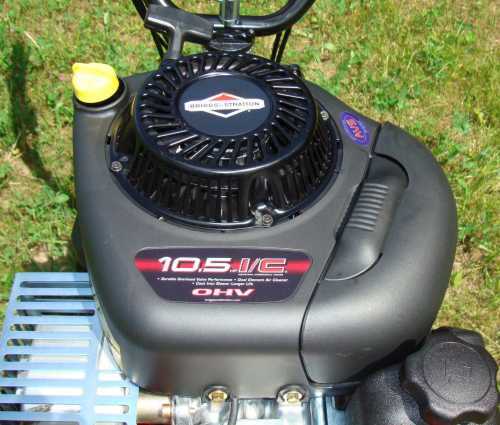 It is driven by a Briggs & Stratton Engine I / C 7,7 kW/10, 5 PS. 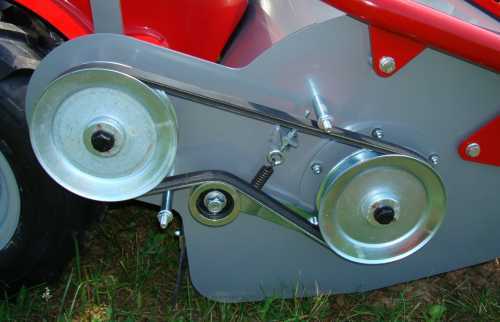 The flail mulcher has a blade brake. 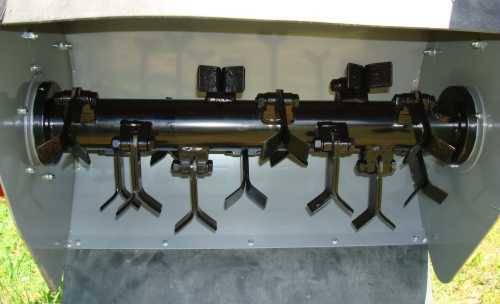 It is equipped with 28 Y-blades. 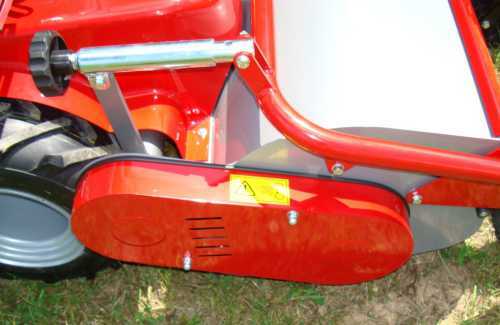 These are solidly built and are easy to sharpen with the angle grinder. 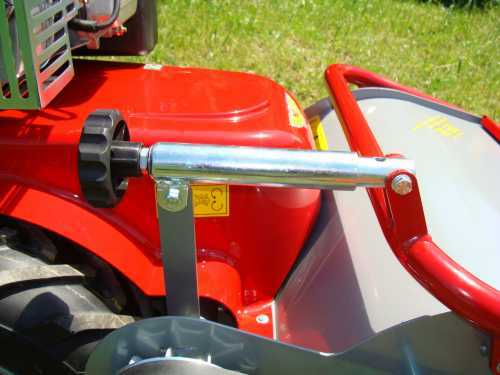 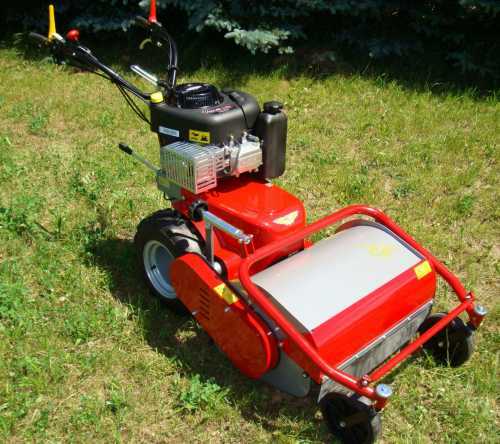 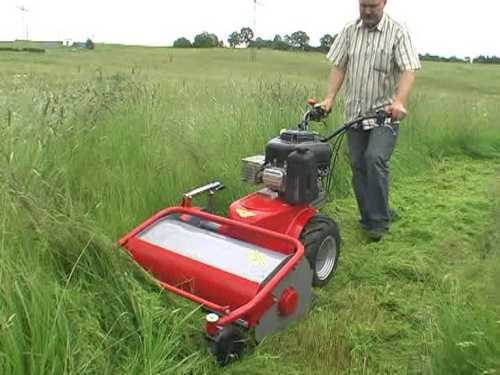 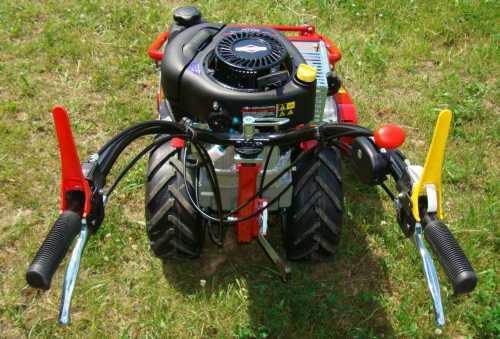 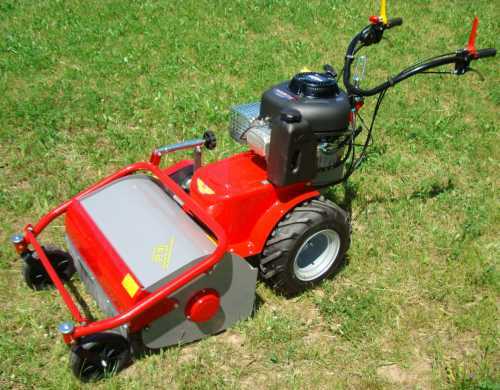 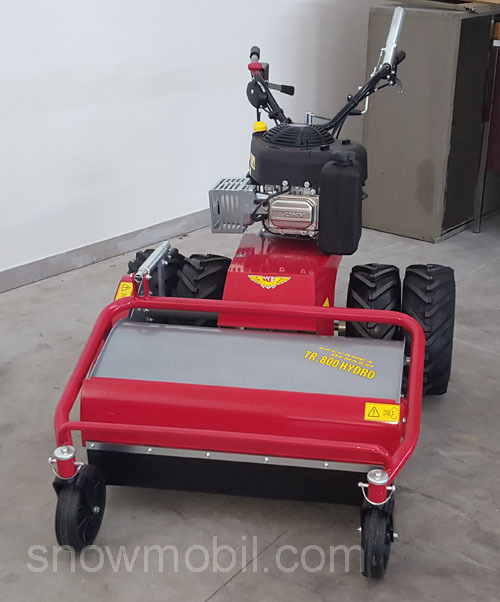 A flail mower that is produced since 10 years. 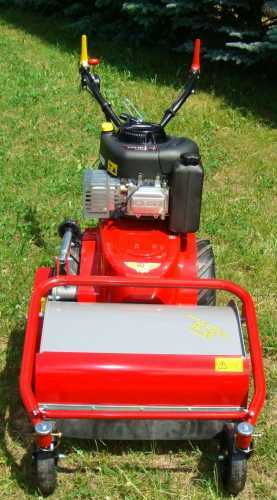 Made in Italy - for your information 70% of all garden equipment come from Italy.